This seemingly distasteful dance between camaraderie and competition is what turns most people off when it comes to business, education, community, and political leaders. But, it’s the ability to navigate these dynamic waters that separates the best from the rest and provides the effective leadership that is vital in any organization. The people serving lunch at the event make decisions that affect our day-to-day lives in so many different ways. 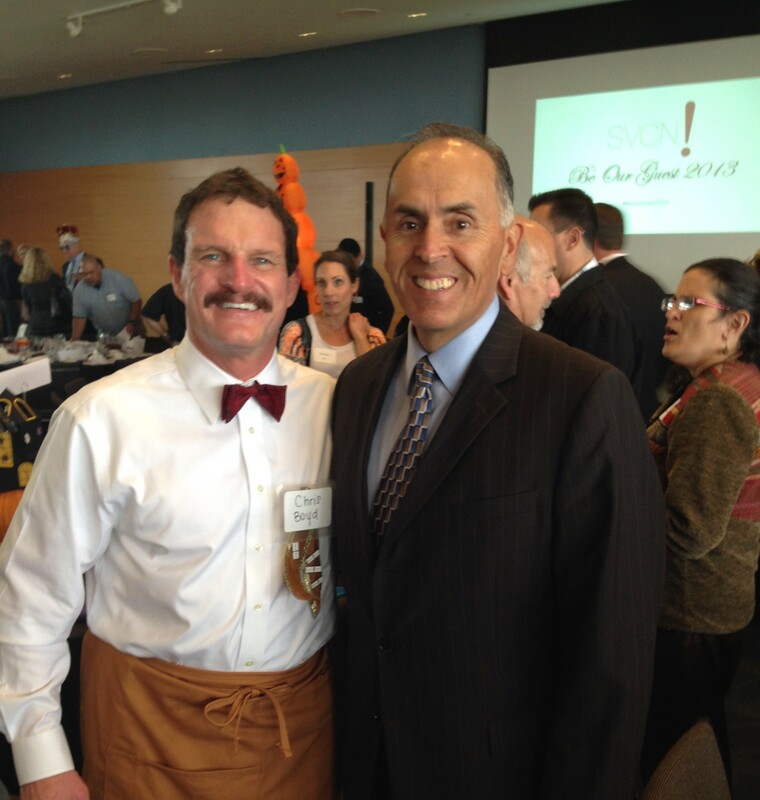 One server in particular, a waiter named Chris Boyd, who happens to be the chief executive at Kaiser Santa Clara Medical Center, made a huge impact on my life even though we never met before Thursday’s luncheon. Everything I know about great leaders is that they know how to build a positive team environment, provide the resources needed for the team to succeed, and inspire others to achieve. This understanding of leadership skills and my own experience at Kaiser Santa Clara makes me believe that Chris is an outstanding leader. My journey to meeting Chris began on June 7, 2010. Feeling sluggish and anxious that day, I arrived at Kaiser Santa Clara Medical Center to learn that I was having a massive heart attack. Quick action by the emergency room team and successful surgery cleared the blockage that caused the heart attack. Ten days later, while in the hospital, a blood clot sent me into cardiac arrest causing my heart to stop beating, and ten days after that, I was diagnosed with Acute Respiratory Distress Syndrome (ARDS), a rare disorder that shuts down the lungs. There is no known cure for ARDS so resting the lungs and providing respiratory therapy is the preferred course of action. In my case, ARDS was so severe that it was necessary to induce me into a coma and connect me to an oscillator, a recently FDA-approved device that sends puffs of oxygen into the lungs. At the same time that the oscillator was breathing for me a pump kept my heart beating. For Sandra and my family, seeing me lying lifeless connected to a bunch of machines was the most difficult part of that horrific summer. During that time, an army of cardiologists, pulmonologists, ICU doctors, nurses, nursing aides, physical and speech therapists, social workers, and hospital support staff worked around the clock to care for me. I got to know four members of the team well, speech therapist Suzanne Dabadghav, pulmonologists Mark Mendoza and Sudhir Rajan, and cardiologist Uma Vadlakonda. They treated me with compassion and consummate professionalism, and I’m inspired by them and eternally grateful for their work. There were countless others who were cared for me with the same compassion and skill. After a month and half on life support in the ICU, I began a long and difficult recovery and rehabilitation period. For family and friends, watching my daily struggle for survival was the most grueling part of the nightmare. For me, it was waking from the coma and realizing that I couldn’t move my limbs, stand, walk, talk, or swallow. My muscles had degenerated after two months of lying lifeless in a coma. I spent most of September at a rehabilitation facility in intensive physical therapy to wake up my muscles and get them working again. On September 21, 2010, 106 days after the heart attack, I gratefully walked into my house with the aid of a walker. So where does Chris Boyd fit in? My experience tells me that the Kaiser Santa Clara team has what it needs to succeed: a team-oriented environment, the most advanced tools available, and space needed to maximize team members’ talent. Watching a talented team of professionals armed with the right tools working together for a common cause is inspirational. As someone who has been on many teams, and led a few, I know that this can’t happen without a leader who provides the building blocks for success. Thursday turned out to be an inspiring day for me. It was wonderful to reconnect with old friends and former adversaries who reminded me of the delicate dance among our leaders that makes Silicon Valley one of the best places in the world to live. Sitting next to the Kaiser table brought back memories of that long and challenging summer when faith, family, friends, and a great healthcare team saved my life. I’ve been on a mission to thank every person who supported my family, prayed for my recovery, or played even the smallest role in the miracle that was the summer of 2010. On Thursday, I met the person responsible for providing the Kaiser team with the tools and environment to be the best they could be. Meeting Chris Boyd and thanking him made my day. Although East Side Eddie Report.com is a weekly blog, every once in a while I feel compelled to post more than once a week. This is one of those times. Last week, I was watching the Martin Bashir show on MSNBC and the host was talking about how Texas Senator Ted Cruz is a thug who held Congress hostage for 16 days over a futile crusade to rid the country of Obamacare. I love watching Bashir because he’s a brash critic of the conservative cause. As I was relishing in his tirade against Cruz, a graphic on the lower left of the screen suddenly caught my attention. It was a photo of Cruz in dark sunglasses next to a drawing of two clenched fists with the words “Cruz Life” tattooed in Old English font on the fingers. A tattoo with an Old English font is the stamp of primarily Mexican and Mexican American cholos and “Cruz Life” is clearly a reference to the “thug life” gang culture coined by the late rapper Tupac Shakur. Bashir obviously meant to portray Cruz as a Latino gangster bullying the United States Congress. Of course I agree that the senator is a bully, but my first reaction to the interplay between Bashir’s commentary and his drawing was, “here we go again.” It never fails that non-Latino America, even bleeding heart liberals like Bashir, use negative images to make a point about Latinos. The old Chicano Studies student in me wanted to complain to MSNBC, call Bashir a racist, and start a protest. Fortunately, I caught my breath, came to my senses, and gave this issue thoughtful reflection. Why did Bashir use those tattooed fists? Why was I disappointed in MSNBC, the bastion of liberal journalism? Why didn’t America find it offensive? I explored a variety of answers, and kept coming back to the notion that Bashir’s actions were another manifestation of “inherent bias,” a term I’ve used in other blog posts. This brings us to redskins, George Zimmerman, and a teachable moment for Martin Bashir. Bashir was also at the forefront of exposing George Zimmerman for what he really is: a racist who used a badly conceived Florida law to murder Trayvon Martin for being a young black man wearing a hoodie in the wrong neighborhood. While the right-wing and mainstream media camouflaged the race issues by focusing on the Florida law and who started the fight, Bashir and his liberal cohorts kept the spotlight on the racial biases that led to the “stand your ground” laws and their murderous by-products. As with the Redskins debate; Bashir recognizes the wickedness of racism against Black Americans. 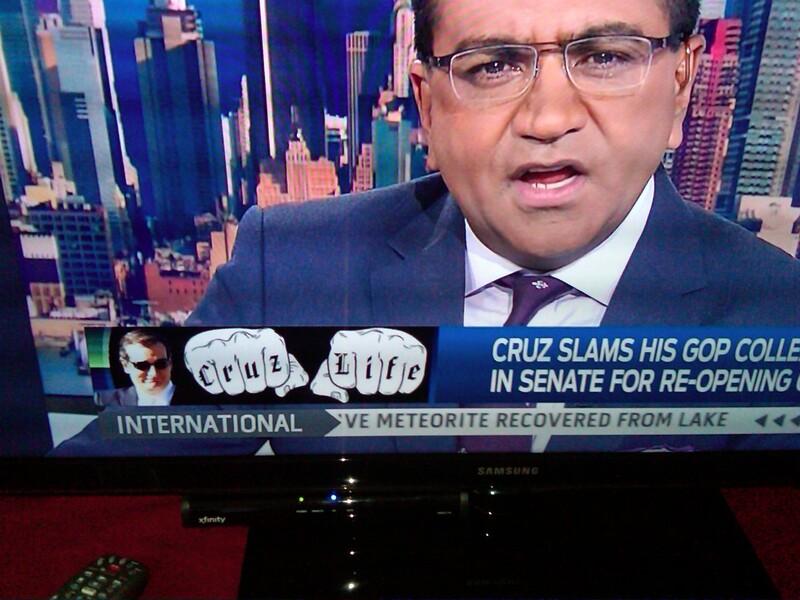 How could a progressive champion of people of color make such a faux pas with the tattooed “Cruz Life” fists? If the president of Santa Clara University is correct, Martin Bashir’s experience with Latinos is limited to media portrayals. Images of tattooed Mexican American gangsters creating mayhem are regular features on cable TV real crime story shows. So when Bashir wants to make the point that Cruz is a bully, he caricatures the conservative southern senator born to a Cuban father and Irish American mother as a Mexican American gangbanger in dark sunglasses with tattooed fingers. This is problematic on many levels as it perpetuates the stereotype that Latinos are dangerous Mexican American gang members. Combined with the conservative obsession to block immigration reform, Latinos are either cholos or “illegals” in the American consciousness. I’m absolutely sure that this wasn’t Bashir’s intent with the graphic, but it surely was the result. The only way to overcome these negative images is for leaders in the Latino community to use their influence to educate mainstream America on the dangers of unintentional actions due to inherent bias. I don’t advocate protesting or publicly flogging Bashir or other progressives who fall into the same trap. He’s one of the good guys. Rather, affluent Latinos should invest in more projects like “Latinos in America,” the brilliant three-part documentary aired on PBS, so Americans can learn about the Latino experience as we have come to understand the Native American and Black experience. Influential Latinos in the media and Latino political leaders should take Bashir aside on the cocktail circuit and let him know why using the “Cruz Life” image wasn’t accurate or appropriate. As a nation, it’s doubtful that we’ll ever be rid of the scourge of individual racism, but I believe that having honest and courageous conversations about race will minimize the negative effects of inherent bias. This would be a giant step toward erasing negative and demeaning images of people of color. I’m pretty sure that my high school basketball teammates weren’t too happy with me when I took that advice literally because I know that I missed way more shots than I made. But my dad’s lesson was clear; success would come by taking calculated risks every now and then, hard work, and perseverance. I’ve had lots of failures and picked up a few successes along the way in my journey through life, and my dad’s advice on the driveway that day has guided me through the toughest of times. First of all, I know how to lose a political campaign. I ran for school board in 1996, 1998, and 2008, and I was a candidate for city council in 2000. Even though I demonstrated a true passion for public office, I lost all four races. Undeterred, I got an opportunity to serve when the East Side high school board appointed me in 2006 and 2009. 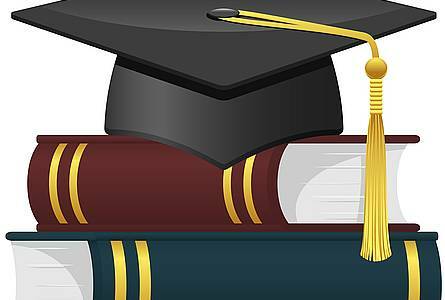 During my time on the school board, we saved after school sports from the budget ax and passed a historic policy that ensures every student has a chance to go to college. In 2005, Comcast invited me to its exclusive Comcast Executive Leadership Forum, a year-long executive training program. I arrived at the company’s Philadelphia headquarters on a cold and snowy January morning wearing my best dark suit and a new overcoat. Passing a mirror, I suddenly froze, and the fears and doubts of an east side boy in way over his head consumed me. I debated on whether I should just go back home, but decided to stay. A little less than two years later, I was promoted to vice president of government affairs for northern and central California. During the summer of 2010, I faced the biggest challenge of my life. I had a massive heart attack, and subsequent complications in my lungs left me in a coma for a month and in the hospital for over 100 days. When I awoke from the coma, I couldn’t talk, walk, or move any of my limbs. After intensive therapy and a few of years of a disciplined exercise program to strengthen my heart and lungs, I thought about my dad as I crossed the finish line of the annual East Side Save Our Sports 5K walk with my wife Sandra and daughters Marisa and Erica. You can’t score if you don’t shoot! Through many defeats and a few victories, I’ve learned that my dad had it right. Taking a chance, working your behind off, and keeping at it is the path to achievement. The past several years, I’ve had the great privilege to work with emerging community leaders through the Latino Leadership Alliance Leadership Academy. We discuss a variety of concepts and strategies needed for leadership. The conversations usually come to the conclusion that effective leadership results from some version of my dad’s advice. We live in an age of non-stop media and talking heads with no leadership experience preaching quick fixes to complex problems. President Theodore Roosevelt famously said that these self-proclaimed leaders “neither know victory nor defeat” because they stay on the sidelines. To be sure, leadership concepts can be learned in seminars and conferences, but the practice of true leadership can only be achieved by getting into the fray. When advising aspiring leaders, I tell them that there is no substitute for taking a leadership role when the opportunity presents itself, especially if it’s risky, challenging, and seemingly without success in sight. So, if you want to serve on the PTA, be a scout leader, run for Congress, or apply for that promotion at work, go ahead and go for it. Just know that you’ll have to step out of your comfort zone, work extra hard, and hang on for a long and bumpy ride. It’ll be worth it. And, never, ever forget that you can’t score if you don’t shoot. The other day, I was driving on Story Road in east San Jose reflecting on what influenced me to seek out leadership roles at work and in the community. For starters, I’ve always been fascinated with great leaders. When I was a kid, I would ride my bike to the county library and check out books about U.S. presidents and WWII generals. After college, I began gobbling up biographies on Washington, Lincoln, Churchill, LBJ, and others. Throughout my career, I’ve had the opportunity to participate in leadership programs that opened my eyes to a complex world. I’ve sat transfixed in corporate seminars listening to words of wisdom from modern-day leaders like President Bill Clinton, General Colin Powell, and Oprah Winfrey. From Washington to Winfrey, they all had the same qualities: they knew how to build great teams, create trust and loyalty with those around them, and inspire others to greatness. 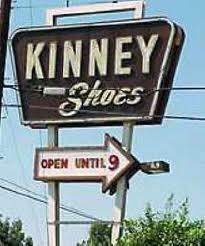 As I drove by the old Kinney Shoes store on Story Road, it suddenly it hit me that it was there, where I had a part-time job during my high school days, that I learned my first lessons in leadership. Kinney’s was an institution in east San Jose throughout the 1970s and 80s. Everybody bought shoes there. During the last days of summer just before school started, the store was like Grand Central Station at rush hour. Suede wallabies, Mary Janes, and NBA “tennies” (Chuck Taylor knock-offs) flew off the shelves. The part-time sales team was a diverse group of east side kids from Latino, Black, White, and Filipino families. The leader of the crew was the store manager, an African American son of a soldier in his early 30s named Bob Williams. Looking back on that experience, I realized that Bob was a true leader in the classic sense. He carefully assembled an effective team, created a work environment that felt more like family than a part-time job, and transformed a bunch of east side teenagers into a shoe-selling machine. Bob knew what he wanted when he hired people for part-time sales positions. 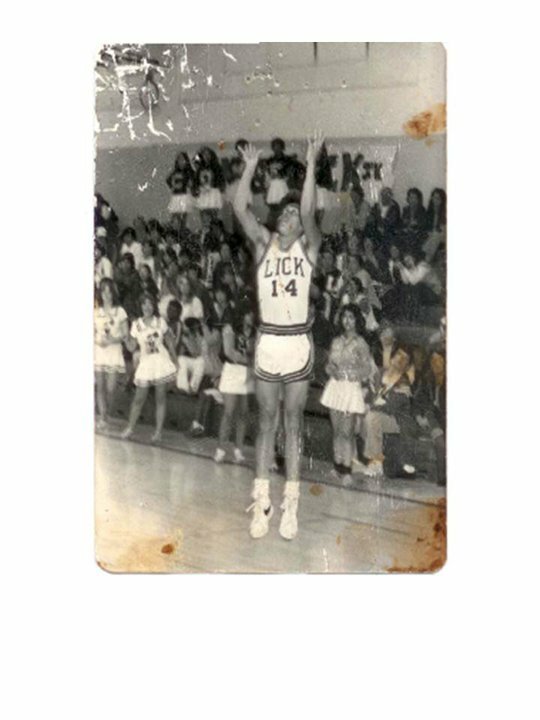 He put together a team of teenagers who came from hard-working families, participated in high school sports, and demonstrated leadership skills. Billy Ham, my classmate and baseball teammate at James Lick High School, introduced me to Bob. At the brief job interview I’ll never forget, Bob asked about my family, what sports I played, and if I was in the starting lineup. Seemingly satisfied with my answers, he hired me on the spot. While it was clear that we were there to sell shoes, Bob showed a genuine interest in our family and school life. From time to time, Bob would invite us to his house for a barbecue where we got to know his wife Tina and son Bobby, played basketball in the driveway and two-hand touch football on the street. These types of activities solidified us as a team. It wouldn’t be unusual to see one of us spend a few hours just hanging out at the store on our day off. Many of my co-workers became life-long friends. We were a lively bunch that appeared, at first glance, to be undisciplined. Bob had the rare ability to read people to determine what inspires them to achieve, a quality that distinguishes a leader from a mere manager. Knowing that athletes loved to compete, he made a competition out of everything. I still laugh thinking about us, in shirts and ties, playing Wiffle ball, running races, and duck walking in the parking lot. All it would take was a challenge from Bob to see us run across the street to get a phone number from a girl sitting at the bus stop. So when Bob declared a sales contest on back-to-school weekend, the race was on to see who could sell the most shoes, socks, purses, nylons, purses, and shoe cleaners. Today when I think of Kinney’s, I always remember the friends, the contests, and good times. I laugh reliving the mischief caused by a group of rambunctious teenagers from working-class families with a few dollars in their pockets from selling shoes. Now I’ve also come to see Kinney’s as the starting point of my amazing journey through the world of leadership. Those of us who had the privilege of working there during the late 70s and early 80s unwittingly got an education in leadership from a true master. Right here in east San Jose. Thanks Bob!